And baby makes ... four. Atta girl! Now jump back in and grab some more ... Good girl. Alert: Holgate Refuge is closing to the public beginning tomorrow, March 15. That seems early, but who's counting ... Oh, that's right ... me. My south-end hiking stints are ended. Sadness. Thursday, March 14, 2019: I’m finally feeling a change in the air, not temperature-wise, just in an aura way. Doing an over-sized forest bathing session, i.e. a hike, I saw some insects trying to do a seasonal breakout. Most of all, I saw vernal ponds like we haven’t seen in many a spring. Frogs should proliferate, providing mercury and other rain-down acids aren’t ruining the water chemistry. Hey, the entire climate change syndrome hits amphibians first and hardest. 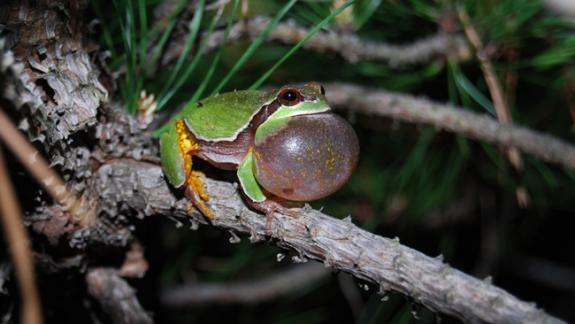 I rate a spring pond success based on the showing of Hyla andersonii, our famed and beloved Pine Barrens tree frogs – one of the more underappreciated ultra-rare amphibians in the world. Despite its very limited range, with NJ leading the list of locations where it’s found, it has garnered a mere “near-threatened” status. On uncommonness alone, it should be close to endangered. One thing I will admit is how common it can be where found (in NJ). However, only a few ponds hold them. I went to areas in North Carolina where it is listed as common and could barely find/hear a sign of them. Obviously, the only time a count can be had is during mating season – and then only the males make their presence known. Below is a news report on a study done by a former Rutgers student, now doing research in California. It’s called “Science Study Documents Decline in Fish Populations Due to Warming,” By Doyle Rice, published in The Desert Sun. It’s right up/down my alley. There are obvious problems arising within the marine ecology realm. Many – but not all! -- seem to be immersed in global warmification. Despite tons of research being hurriedly done to peg just how climate changes will take over the world, little is known about why fisheries around the world are collapsing. Some decent guesses can be made. Don’t mind if I do. If you think that overfishing is a smoking gun – more so than a subtle increase in ocean surface temps -- you’d be on target. However, the best data on fishery downturns also takes poor fishing practices into consideration. Even then, something else is starting to play havoc. It’s not much of a stretch to ponder the un-minor matter of a tortured atmosphere. As many a researcher focuses in on global warming as a messing-things-up factor, exactly how it’s doing so is not at all that clear. Emerging data is pointing toward everything from climate-related ocean chemistry changes to rapid thermal swings. These are both known disruptions of well-established ecologies. From my vantage, I look at both chemistry and temp changes as they impact the essential forage, possibly as we speak. Keeping in mind that forage fish, like bunker, must feed profusely, it comes down to one of the most quickly impacted of all ocean organisms: plankton. If forage fish can’t find plankton loads in the usual places, they’re forced go off foraging -- as in far and wide. Such forage fish roaming is a worst-case scenario for those gamefish species that are relative home bodies, year ‘round. Take, for perfect instance, our much-studied striped bass. While stripers have a well-marked, well-known annual migration, it covers a mere stone’s throw worth of ocean. They are highly uninclined to go too far afield seeking forage fish, especially when forage fish follow their noses to sniff out sundry plankton. Forage-fish forsaken stripers will likely begin foraging on everything/anything in sight. While old standbys like clams and crabs will keep them fed, fall feasting will find them readily focusing on flatfish and sundry roundfish, like weakfish, tog, hake and even smaller models of their own ilk. There are many examples of cannibalistic stripers, most famously the bass that choked to death trying to eat another bass not that much smaller than itself. I bring this up to show the complexities and ambiguities of climate-changed waters, as impacts trickle down through the entire food chain. 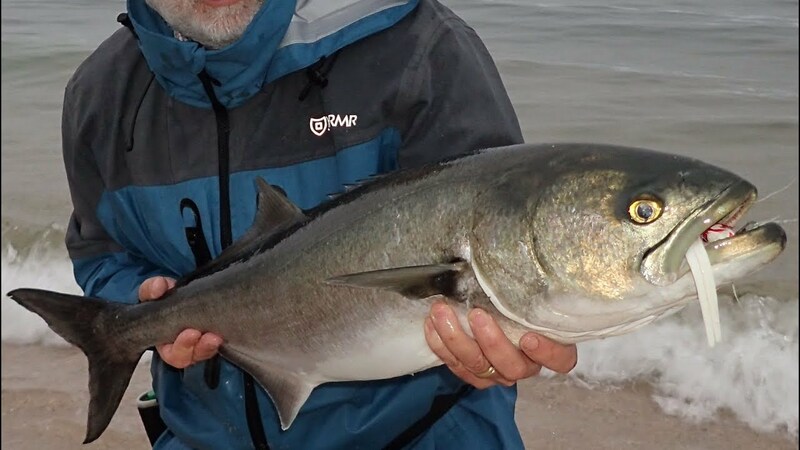 Switching gears, speed-freak bluefish might serve as the canary in the climate-change coal mine. As far-and-wide feeders, they’ll be the first to show changing ocean times by widely and wildly tracking down rambling forage. Also, bluefish are thoroughly water-temperature oriented, meaning they have a slew of water conditions to consider as they wander. While I might be getting way ahead of the ocean warming curve, I believe bluefish might already be displaying climate change behavior. They have apparently been finding understandably comfortable waters along our shores in spring – as we’ve seen. But, might warmer seas next have them moving further north as summer nears? If so, that curves them eastward and outward, off Labrador. In case you’re poor on geography, that can place them half the way to Europe. It would become migratory folly to backtrack along the Eastern shoreline come fall. What’s more, NJ water temps are no longer to their liking come autumn, Again, just my theory but it’s not out of the realm of high possibility -- if not now, soon. One other deleterious impact of changing sky times is almost too complex to even substantiate; that’s the wholesale water chemistry changes in spawn zones. Spawns are complex enough with contributors of different degrees of health coming into the gene pool. I’m thinking bass and the effects of mycobacteria in this instance. Now mix in what will be significant chemical changes in the waters carrying the sperm and eggs of the spawn. There are more and more reports of human steroids being flushed into spawn waters The proper fluid matrix (water conditions) is absolutely essential to a successful spawn. Now extend the problems stripers face to every species that spawn in similarity changing waters. This is some complex s*** -- and might ultimately be the largest factor is declines in all fisheries, far more so than overfishing or forage fish shifts. Please note: I could have included reams of paperwork and references from recent studies substantiating the above concepts. For readings simplicity, I’m forwarding what I’ve digested. Being a fanatic reader of scientific abstracts -- and entire theses when time permits – I’m all over this stuff and will pass on info as more research flows in. It will impact fishing. Taking a trip to the beach after wintering in NJ. Look closely. But it won't be long before we hear: "Are we having fun yet?!" Keeping fish stocks plentiful is vital, the study says, since Earth's oceans have become a crucial source of food for the planet's rapidly growing population. In fact, more than 50 million people around the world earn a living by fishing, and seafood provides about half of the protein eaten by people in developing nations, according to the study. "We recommend that fisheries managers eliminate overfishing, rebuild fisheries and account for climate change in fisheries management decisions," Free said. Free and his team studied the impact of ocean warming on 124 species in 38 ecological regions around the world. However, "fish populations can only tolerate so much warming," said study co-author Olaf Jensen, also a Rutgers scientist. "Many of the species that have benefited from warming so far are likely to start declining as temperatures continue to rise." Additionally, the study only looked at how warming oceans affect fish and did not take into account other climate-driven impacts, such as ocean acidification, which can also lead to marine population declines. The world's seas are becoming increasingly acidic because of the rising levels of atmospheric carbon dioxide. 1st Keeper Bass weigh-in of the Spring and the 1st ever keeper for this kid! Here’s Sheldon with a 34” 12.80LB Bass that took a Scabelly Glider in the Bay (Shore caught Locally). This wasn’t the only fish they caught tonight. They had a decent amount of shorts as well. This fish was unfortunately gut hooked and had to be kept. Nice fish and a good way to start the Spring Season! We're excited to announce that registration is now open for our Coastal Stewardship course that is being offered as a part of the Barnegat Bay Shellfish Restoration Program (BBSRP) with Rutgers Cooperative Extension. The Coastal Stewardship course (formerly known as the Shellfish Gardener course) aims to educate stakeholders about the ecology of Barnegat Bay and to promote responsible stewardship of coastal marine resources while using shellfish biology, restoration, and aquaculture as the primary teaching tools. The course meets during the spring and fall. The spring meetings include Tuesday evening (7:00-9:00 PM) classes from May 7 through June 22and two field trips on June 8 and June 22. The fall includes five evening (7:00-9:00 PM) classes from September 17 through November 4. Please see the attached flyer for the schedule, topics, and confirmed speakers. All classes will meet at the Rutgers Cooperative Extension of Ocean County (1623 Whitesville Road, Toms River, NJ 08755). Come check out our Open House during the evening (7:00-9:00 PM) on Tuesday, April 23 to learn more about the course and BBSRP activities throughout Barnegat Bay, including our close collaborations with ReClam the Bay (http://reclamthebay.org/) and other local and regional partners. The cost of the course is $75 per person (checks made out to Ocean County Board of Agriculture). Please register by Wednesday, May 1 by contacting Kelly Jurgensen (Administrative Assistant: kjurgensen@co.ocean.nj.us, 732-349-1152). Please feel free to forward this announcement to anyone who you think might be interested and contact us with any questions about the course. A final glance at the old girl. If you look closely, you can see airline reservations in her feather-lined pocket; a direct flight to the arctic. I noticed she hasn't lost any weight during her winter Holgate days. I say that in a good way -- should she get wind of this post. "May the lemming be with you, darlin'." The New Jersey Pinelands Commission is pondering an application from the state Forest Fire Service to take down 16 acres of old-growth white pines planted in Bass River State Forest. The trees were planted in 1929 by the Civilian Conservation Corps. The Forest Fire Service feels the 150-foot-plus trees limit their ability to adequately monitor their watch area for wildfires. Numerous conservation groups are against the razing of the white pines. Anyone besides me see this and sigh ... "One of these days I'm getting back to some old-fashion traveling?" Nickerstickers, Inc.
Based on the best available landings information, NOAA Fisheries has determined that the Angling category southern area “trophy” bluefin tuna (measuring 73 inches or greater) subquota of 1.8 mt has been reached and exceeded and therefore closure of the southern area trophy bluefin tuna is warranted. The southern area is the area south of 39°18’N lat. (off Great Egg Inlet, NJ), outside the Gulf of Mexico. More information can be found in the Federal Register notice -- see the Atlantic HMS Management Division’s website. Fishermen may catch and release or tag and release BFT of all sizes, subject to the requirements of HMS catch-and-release and tag-and-release programs. 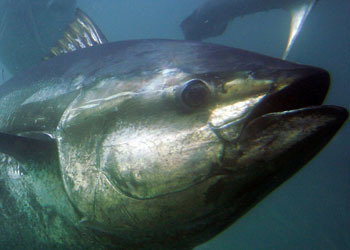 All bluefin tuna that are released must be handled in a manner that will maximize survivability and without removing the fish from the water. Download the Careful Catch and Release brochure for more safe handling tips. HMS Angling and HMS Charter/Headboat category vessel owners are required to report their own catch of all bluefin tuna retained or discarded dead, within 24 hours of the landing(s) or end of each trip, by accessing the HMS Permit Shop, using the HMS Catch Reporting app, or calling (888) 872-8862 (Monday through Friday from 8 a.m. until 4:30 p.m.). Some 1.2 million juvenile Atlantic eels caught off France were released into the Elbe well upriver of Hamburg on Tuesday by conservation officials and anglers in a bid to restore Europe's fishery, decimated since the 1980s. Unable to breed eels in captivity, Europe depends on mature eels returning to the western Atlantic Sargasso Sea near Bermuda to mate — and then die — but spawn larvae that are carried by the Gulf Steam toward Europe before swimming up its rivers as young "glass eels." Maturity takes up to 12 years. Since the 1980s, Europe's eel populations have slumped 90 percent along inland waterways and in the open North Sea even more drastically, turning "glass eel" smuggling to Asia from Europe into what Europol once described as "Europe's ivory trade." Experts attribute the die-off of the European eel, Anguilla anguilla, to a mix of aquatic habitat loss, fatal power station water intakes, toxins, parasitic infestations, climate disruption and over-fishing. Tuesday' release took place at Bleckede in Lower Saxony state, 60 kilometers (39 miles) up the Elbe from the port of Hamburg. Similar releases totaling 256 kilograms (560 pounds) of juvenile eels took place in adjacent tributaries flowing into the Elbe. Last week, Berlin also released two million young eels into its elaborate network of (navigable) waterways fed by rivers such as the Spree and Havel. Funding to bring the young eels in canisters on a three-day trip from Atlantic waters off Nantes in France and restock Germany's waterways came from the regional states and the EU. At Bleckede, Lower Saxony Chamber of Agriculture coordinator Volkmar Hinz (pictured in main image) said the eels — each about 10 centimeters (2.2 inches) in length — should eventually end up in the Atlantic spawning waters. Downriver at Hohnstorf, one of the region's few remaining professional anglers Eckhard Panz told Lüneberg's Landeszeitung newspaper that last year he had only caught 800 kilograms in the Elbe. "Tens years ago it was more than ten times that much. In the meantime with my eel net I haul almost only [introduced Asian] Mitten Crabs out of the river," Panz said. "Here along our 200-kilometer stretch of the Elbe, we number only five professional anglers. In the 19th Century there were 1,900, and all caught eels," he added. Last month, near Frankfurt, German customs officers said they busted a glass eel smuggling ring, arresting two Malaysians and one Chinese. Inside a disused Chinese restaurant at Liederbach in the Taunus hill region, detectives found four pump-filtered water tanks filled with 210,000 young eels. Surviving eels were released into the Rhine river. Prized in Asia as aphrodisiacs and thought to be sourced from France, Spain or Portugal, they could have been worth between 3000 and 5000 euros ($3400 and $5600) per kilogram, officials speculated. The probe had been spurred by travelers caught carrying eels while trying to depart Frankfurt and Stuttgart airports in December and January. According to the animal welfare organization Sustainable Eel Group (SEG), young eels fattened at Asian fish farms, mainly in China, reach as much as 30,000 euros per kilogram. Since 2014, Germany's Thünen Institute of Fisheries Ecology, near Hamburg, has taken part in EU research efforts, including Denmark and the Netherlands, to artificially reproduce European eels and improve survival chances when on maturity they enter the Atlantic to spawn. In 2017, the team said it had hatched larvae and extended their survival up to 23 days but concluded that artificial breeding remained "in the distant future." Today the Assembly Environment and Solid Waste Committee released A4221 (Pinkin). The bill has been amended since its last discussion in committee. There were very late amendments added to the bill by the Murphy Administration that actually weakened the legislation. The new amendments have made the bill slighter better, however there are still some concerns. This bill would confirm in the statutes the public rights under the public trust doctrine to use and enjoy the State’s tidal waters and adjacent shorelines. The new amendments changed bill language from may require access to shall require public access. “We have been fighting for public beach access long enough to know that every time we put a may have public access in a bill or in a rule, it may never happen. That is why it is so important that the new amendments changed the language from a may to a shall. Whether it’s some of the wealthy home owners in Edgewater who we have been battling for years for public access on the Hudson or down in Long Beach Township. If it the law becomes a may, they are not going to do it,” said Tittel. “It is important that the new amendments will review beach replenishment and maintenance. However, DEP reviewal is only considered when it should be mandated. DEP also only have to consider certain permits instead of requiring certain permits. Overall the amended bill is better, but the legislature must make sure that language in the bill is not up to interpretation or optional. Too many times people give restricted access to these areas that we all own. We need to codify the Public Trust Doctrine to help ensure access. As taxpayers are paying hundreds of millions of dollars for restoring our beaches, it is even more important for the public to have access to them,” said Jeff Tittel, Director of the New Jersey Sierra Club. According to science I read on the internet (so you know it’s true), my hypothesis has been correct for years. Fishing is good for mental health. Fishing is the cure for everything. I’ve known this for years. Bass fishing heals all wounds. Sad? Get on a boat. Stressed? Wet a line. Girlfriend dump you? Let those tears fall right into the water. Think about that for a second. If you just go fishing, you’ll think you’re cool. PROVEN by BioScience. Fishing has also been proven to be more effective than hiking, camping, or biking as a mental health aide, making it the leader of all outdoor hobbies for mental wellness. If you’re somehow still reading this instead of fishing, here’s the original article, including some more scientific backing on why fishing is so great for our brains with data from scientists and companies like FishBrain. Moral of the story: Fishing is just the best, and can cure literally anything. An overpass to help wildlife safely cross a highway in Banff, Canada. Yellowstone to Yukon Conservation Initiative By Tara Lohan Animals today live in a shrinking world. Development, resource extraction and roadbuilding have fragmented landscapes and reduced wild spaces making it harder for animals to find food, search for a mate and adapt to a changing climate. To help address these problems, ecologists and conservationists have been working for decades to create wildlife corridors — areas of natural habitat that can reconnect fragmented habitats. These projects have ranged from small-scale efforts to build safe passage over highways to major conservation efforts protecting millions of acres. For more than 20 years, ecologist Jodi Hilty has been one of the people at the heart of this work. 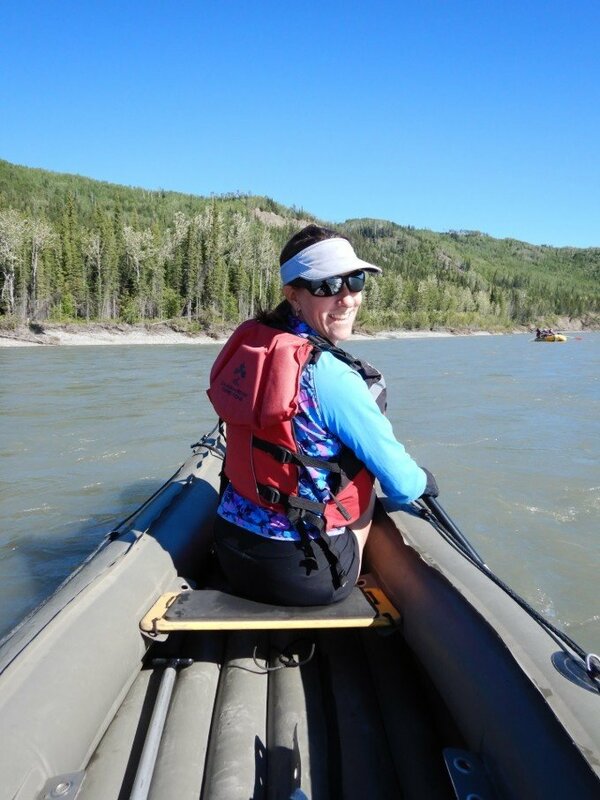 As president and chief scientist of the Canada-U.S. nonprofit Yellowstone to Yukon Conservation Initiative(Y2Y), Hilty has helped lead the organization's work to connect and protect habitat in the massive region stretching 502,000 square miles across western North America from Wyoming to the Northwest Territories. She's also co-author of the book Corridor Ecology: Linking Landscapes for Biodiversity Conservation ..., due out in April, which explains why corridors are needed now more than ever with a changing climate. We talked to Hilty about what kind of wildlife corridor projects have been most successful and why corridors aren't just for land-based animals. There are three kinds of animals that have difficulty in places where natural habitat is disappearing or has become fragmented. The first is migratory animals — these are animals that need to move seasonally to obtain resources. For example, some wildebeest and pronghorn populations have been lost in places where they can no longer migrate. Second are animals that are fewer in number and require large home ranges, especially those that have a harder time co-existing with humans, such as grizzly bears and tigers. Many isolated, small populations have gone extinct or are at high risk of extinction. And third are specialist animals that have very specific needs and don't do well in altered environments — animals like orangutans and tiger salamanders are examples of specialists that face challenges with habitat loss and fragmentation. What are some of the most exciting wildlife corridor projects you're working on now? Likewise, the growth and sophistication of various connectivity modeling approaches also exploded in recent years.